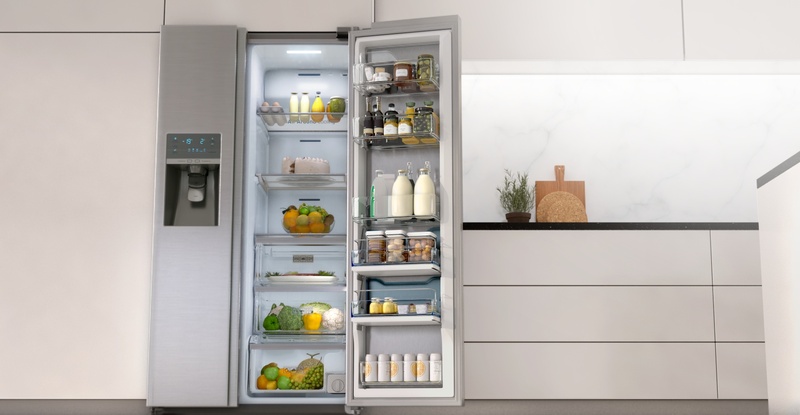 A fridge within a fridge design optimises the use of space and provides faster access to all the food your family needs. The refrigerator boasts an innovative Showcase that lets you organise groceries into three different zones - cooking, family and kids. The Innercase compartments enable quick and easy access to what you need, making meal preparations a breeze. The All-Around Cooling System distributes the cold more evenly and ensures longer-lasting freshness within the Innercase. Metal Cooling Door. 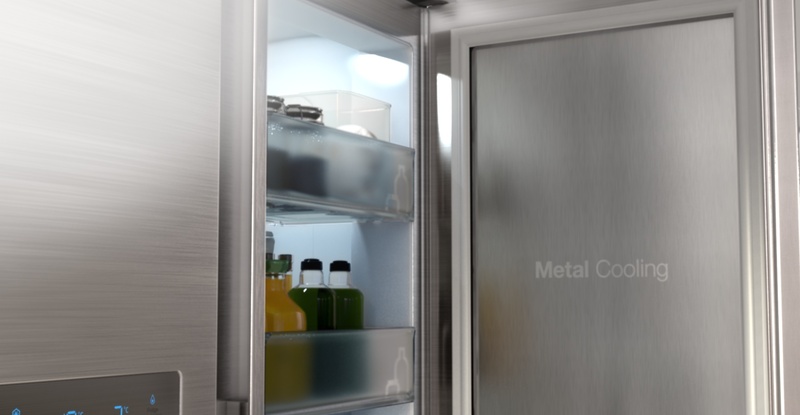 Steel materials keep temperatures from fluctuating when the fridge is open. And when the fridge is turned off, the metal door maintains a cool temperature more effciently than a conventional. Slide and Fold. The 2-step foldable shelf accommodates items of different sizes. Kids Zone. Even the youngest family members can see and reach their own snacks and drinks. Timeless Beauty. With its premium refined steel finish, ice blue display and clean lines that work in harmony with your kitchen, it’s as beautiful as it is brilliant. Auto Ice and Water Dispenser. Quench your thirst and cool down on a hot day without having to open the refrigerator door. Slim LED lights gently brighten every corner so you can see it all—with less heat. 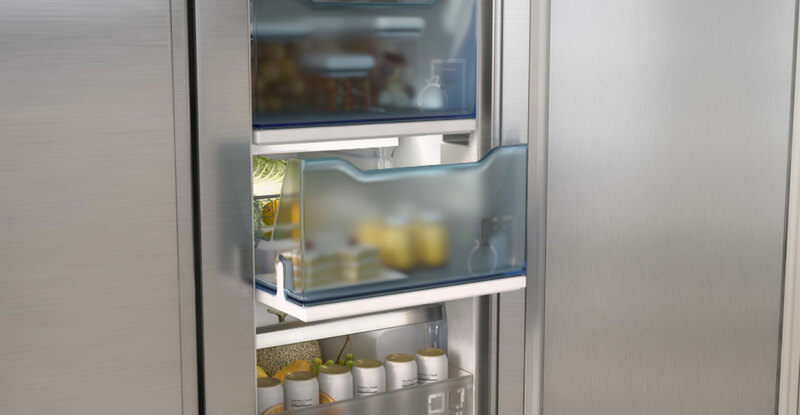 It’s an energy-efficient way to keep food fresher. Energy-efficient and whisper-quiet, this fridge will be seen (and admired), but not heard. Deeper, bigger drawers give you huge amounts of storage space in the fridge and the freezer. Perfect for busy families who like to feed a crowd.